Can’t wait for July and need a sneak peek now? You’re in luck, I have one. On November 1st, 2014, I opened my laptop with a steely determination to actually win Nanowrimo and finish a novel by November 30th. I had been out of school for three years by this point, and the writing burnout from earning my creative writing degree was finally fading. My income had evened out. I was married. Living in a great house. Felix was about six months old and growing more independent every day. The writing bug had been nibbling at me months. I felt that pull toward the keyboard. Write. Write. Write, it said, but I didn’t have a story in my head yet. I had zero clue where to start. I also had zero excuses left not to do it. And all I wanted to do that November was finish something. So I sat down November 1st and wrote. And then I did it every day for the next 27 days until I was done. It was mess of a first draft. And it should have been. Despite the degree, I had never written a novel before. 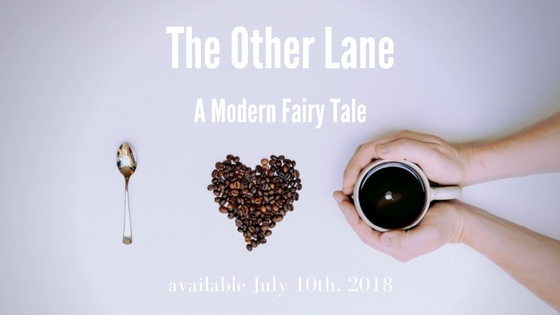 Two years of revision, a few months starting a second project and having another baby, and many late night pep talks later, I had a finished draft of The Other Lane. And the most exciting news of all is that three months from now, I am going to hold a published book in my own two hands. That’s right. I said it. I’m doing it. I’m publishing my own books now. And the first one is coming out July 10th! I am doing what is known in the publishing industry as publishing “wide”, which means The Other Lane will be available on nook, Kobo, iBooks, Amazon, and also available on library services like Overdrive. There is still a ton of work to get done in the next few weeks, and I will be updating the blog as the big day gets closer. But, if you want to hear all the new before anyone else, join my newsletter. If you do, you’ll also get the first 50 pages of The Other Lane to peruse at your leisure on your favorite ereader. Here we go big scary world. Let’s do this thing!